When the cheering stops, many athletes find themselves at a crossroads in their life, unsure of how to approach the real world. 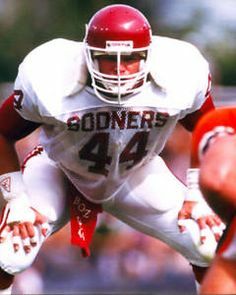 That was the case for former OU lineman, Eric Pope, a starter on the 1985 national championship team, who hit rock bottom before turning his life around and making a comeback more rewarding than anything he had experience on the football field. Pope was a homegrown product, gaining All-State status at Seminole High School in the early 1980s. Growing up a Sooner fan, there was little doubt he would cast his lot with Oklahoma. He signed with OU and at 6-3, 285, became a mainstay on the offensive line. 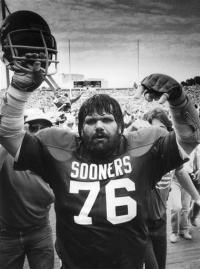 Injured in his initial year, Pope redshirted and spent five years at Oklahoma, suffering through a couple of down years for the program before grabbing a starting spot on Barry Switzer’s squad that overcame a loss to Miami in the regular season on their way to a wishbone-fueled national title with a win in the Orange Bowl over Penn State. Pope was a second-team all-Big Eight selection that season. While in Norman, Pope was exposed to the Fellowship of Christian Athletes through its longtime leaders Chuck Bowman and John O’Dell. That relationship would help in his revival in later years. But first, he would have to travel down a dark path that almost ruined his life. Undrafted by the NFL, Pope still had dreams of making a team. He was hopeful that a history of injuries wouldn’t derail his chances. Signing as a free agent with the then St. Louis Cardinals, Pope was excited about being a professional, but not as thrilled with his new digs. Battling to become a member of his new team, Pope’s hopes were dashed by injuries early on. He suffered another injury in pre-season and was released from the Taxi squad midway through the season. Still, he had shown enough to Cardinals coaches that he was invited back to camp the following year, only to break his hand in an early pre-season game. By the time he was healed, NFL players had gone on strike and since he had signed a contract and had been paid up front, he couldn’t return as one of the so-called “scab” players who filled in while the regulars were sitting out. After two years, Pope called it quits, deciding not to try and hang on to the dream that so many players chase. Without football in his life, though, Pope began wandering through his life without any direction. He spent five years traveling around the country, on a downward spiral fueled by alcohol and drug abuse. 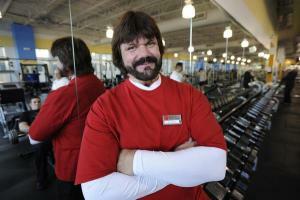 He tried going through 12-step programs and rehab centers several times, but nothing worked for him. His epiphany came when he was arrested for possession. Thinking back to 1984 and his experiences with FCA on the OU campus, Pope reached out to his former mentors and began to put his life back together. 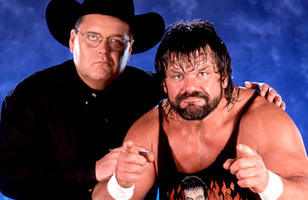 He began speaking to children on the evils of alcohol and drugs, and eventually became involved with the Abundant Life Family Worship Center in Oklahoma City, where he became an assistant pastor, director of the church’s men’s center and a member of the church Board of Trustees. Standing by Pope’s side has been his wife, Floritta, also an evangelist working with single mothers and youth, who grew up in Holdenville and was Pope’s high school sweetheart. They have four daughters, including Jhavonne, who was a sprinter at Texas Tech and OU. Along with her sisters, Erica, Hannah and Rebekah, they form a singing group that performs at church functions. Pope now spends his days working to provide hope and assistance to his community and warning youngsters about the danger of associating with the wrong crowd. He’s not sure his status as a former OU player has that much of an impact on the groups he speaks to but it is part of his life, just as the dark days that led him to a spiritual revival. Several years ago, I was commissioned to write profiles on a number of players for inclusion in a book on the 50 Greatest Players in Oklahoma Football History. Here is the story on Greg Pruitt, the first great wishbone halfback. The football fortunes of Greg Pruitt may have been determined by a phone call to his mother during his sophomore season at Oklahoma. 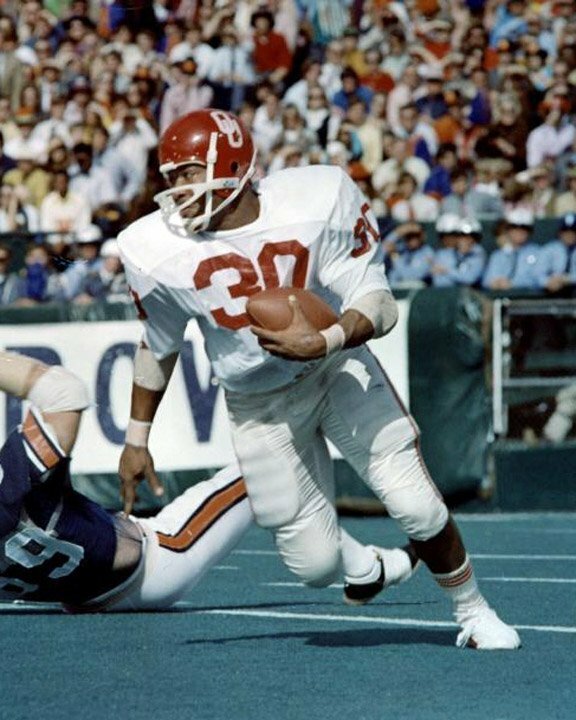 Pruitt had been a starting wide receiver at the beginning of the 1970 season, but when OU made the decision to change to the wishbone prior to the Texas game, he suddenly became a backup at running back, because there was now only one wide receiver on the field. Pruitt had worked hard to gain a first team spot as a receiver and the change had him thinking about leaving the Sooners – until he phoned home. When Pruitt told her he did, she told him to write down a phone number. It was in the 713 area code, the area of Houston where Pruitt grew up. Pruitt quickly decided to reconsider and remain at OU. 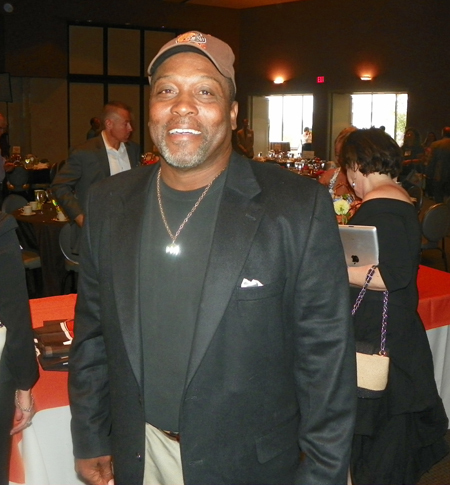 Three weeks later, starting halfback Everett Marshall was injured against Iowa State, Pruitt took over his spot and never looked back, becoming a two-time All-American and a member of the College Football Hall of Fame in 1999. With a sprinter’s speed and the ability to make tacklers miss, it was a wise decision to get the ball in Pruitt’s hands in the open field. And the wishbone offense accomplished that. Early in the 1971 season, Pruitt gained notoriety for a t-shirt that he began sporting that said “Hello” on the front and “Goodbye” on the back. Flashy and fun loving, most people assumed Pruitt had come up with the idea himself as a way to taunt opponents. But he claims it was actually the young offensive coordinator, Barry Switzer, who originated the idea. 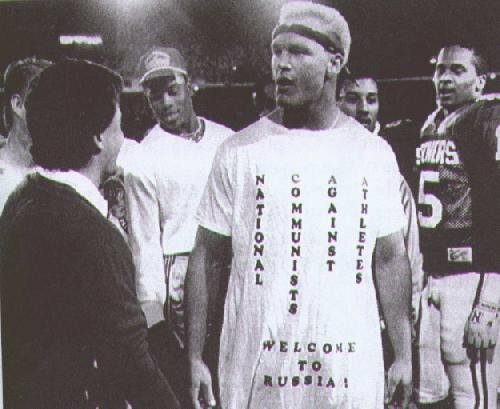 The Sooners knocked off #1 ranked USC 33-20 in Norman, and after that, Pruitt wore the t-shirt under his shoulder pads from then on. During the 1971 season, Pruitt rushed for 294 yards against Kansas State, still a school record. He finished with 1,665 yards that season, averaging an NCAA record 9.1 yards per carry and finished third in the Heisman Trophy balloting, as Auburn quarterback Pat Sullivan won. Pruitt then got a measure of satisfaction as the Sooners beat Auburn, 40-22 in the Sugar Bowl. In 1972, Pruitt seemed destined for another 1,000-yard season and a shot at the Heisman, but he was injured late in the year and finished with 938. Still, he finished second in the Heisman voting to Nebraska’s Johnny Rodgers and was named the Player of the Year by the Pigskin Club of Washington, D.C. Despite his collegiate acclaim, Pruitt wasn’t taken until the second round of the NFL draft by the Cleveland Browns. Ironically, he made the team as a kick returner – a job he was “fired” from at OU after he fumbled the first punt he attempted to return in a game against Texas. In fact, he made the Pro Bowl as a kick returner his first two seasons in the NFL before finally becoming the featured back in 1975. For three straight seasons, Pruitt rushed for 1,000 yards and also served as a dangerous receiver out of the backfield. 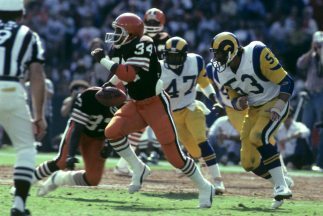 Two more Pro Bowl seasons came in 1976 and 1977, as he became one of the most popular players in Cleveland history. He eventually became a third-down pass catching specialist before being traded to the Raiders in 1982, reviving his career as a punt returner with another Pro Bowl season in 1983 and winning a Super Bowl championship before finishing his NFL career in 1984. In 12 seasons, he had amassed over 13,000 all-purpose yards. Pruitt has returned to Ohio, running a residential construction firm that specializes in home inspections and repair for real estate transactions, and he keeps a close connection with the Cleveland franchise. He travels to road games with the Brown Backers organization, a fan club of the team, and he has participated in everything from salmon fishing to turkey hunting with them. For Pruitt, remembering fans’ loyalty is part of the obligation for a star athlete, even after retirement. Another thing Pruitt still enjoys is following the Sooners. His brother still lives in Choctaw and Pruitt attended two OU games last season. When Bob Stoops was hired to coach the Sooners, Pruitt drove from Houston to Norman to meet the new coach. And he immediately saw something familiar in the current Sooners leader. What was your most memorable moment as a Sooner? The first time I played against Texas in the Cotton Bowl in 1970. One side red, one side orange, split right down the middle. I still remember the preparation, the buildup, and the intense practices. Our expectations were not high that first time, but even though it was overwhelming and intimidating, we were prepared. Of course, the next two years had a much more satisfying experience, but the first time on that field was really electrifying. 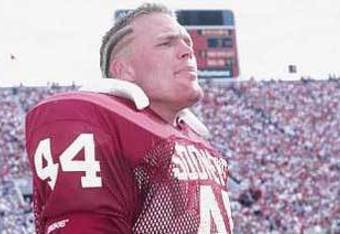 What was the lowest point during your career as a Sooner? Losing the 1971 Game of the Century to Nebraska. Despite losing just one game all season, we lost at the wrong time. It’s interesting that the game has become recognized as one of the greatest of all-time and every time I turn on ESPN Classic they’re playing it over and over. Which former teammate means the most to you today? Kenith Pope. We were thrown together as roommates back then, and we have stayed in touch and remain good friends. I talk to him quite a bit. Really, there were a lot of great friends on those teams, but he is the one I’m closest to. Who was the best teammate you played with as a Sooner? What made him so good? There were so many good ones, but offensively, it had to be Joe Washington. He was just a freshman when I was a senior, but we were roommates on the road. It was interesting to see the greatness in another player, how he prepared and performed. He understood the game and paid attention to how the momentum of a game was going. What attribute did you learn while playing at OU that made a difference in your life after leaving the university, whether it is as a pro athlete, in the business world, or just everyday living? The difference in being good and great. That you couldn’t just rely on natural ability. You were taught a great work ethic that carries on to everything you do in life.